To renew your membership login and visit My Profile. 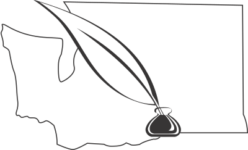 Join the Washington State Genealogical Society at the same time. WSGS Membership is $12 per member or family when added to your TCGS membership. Complete the registration form to establish your TCGS site username and login. Your membership is completed when you pay by PayPal (debit/credit card or your PayPal account) or your check is received by TCGS. If you choose a family membership with two emails, the Membership Chairman will create the account for the second email. Please allow 1-2 days.